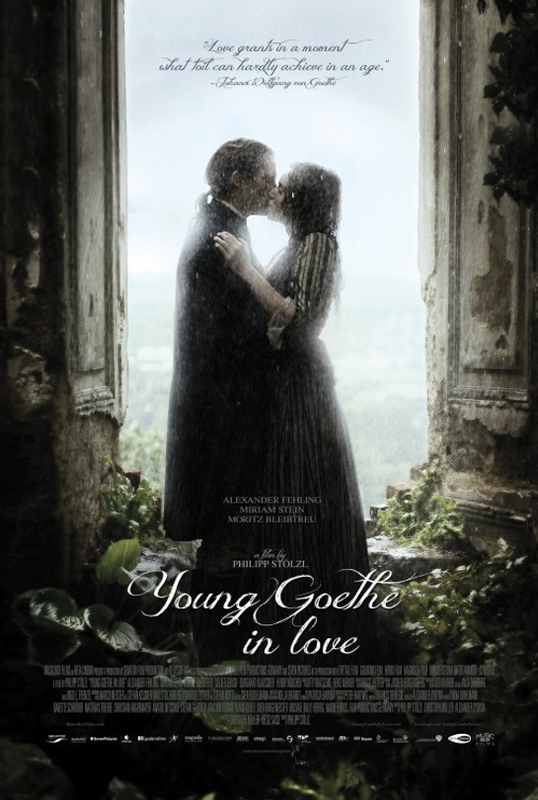 Dress it up in period costumes and powdered wigs if you like, but underneath it all YOUNG GOETHE IN LOVE (Goethe!) is a standard issue coming of age romance story. It's not bad as far as such things go, but neither is it particularly notable. Since it's in German with subtitles and concerns a noted historical figure, though, this gets to play art houses and repertory theaters instead of multiplexes. Anyway, as the title suggests, the film follows Johann Goethe (Alexander Fehling) during his formative years which he spent studying law in Wetzlar. He's been sent there by his father (Henry Hubchen) in hopes that he will leave behind his passion for poetry and become a responsible adult. Johann befriends one of his fellow students, the stuttering Wilhelm Jerusalem (Volker Bruch), who convinces Goethe to come with him to a party. There he meets the beautiful and witty Lotte Buff (Miriam Stein). The two fall in love, but due to her family's financial problems, Lotte may be forced to marry another man not for love, but for money. The film is shot very well, the performances are fine, and the whole affair has a pleasant light hearted feel to it. In terms of historical accuracy... well, it's a movie, so take everything you see here with a grain of salt. Even if I hadn't bothered to do a little cursory web searching on the real life Goethe, the plot is so by the numbers that you just know the facts have been tweaked to fit the standard movie romance formula. 2 1/2 out of 4 stars.